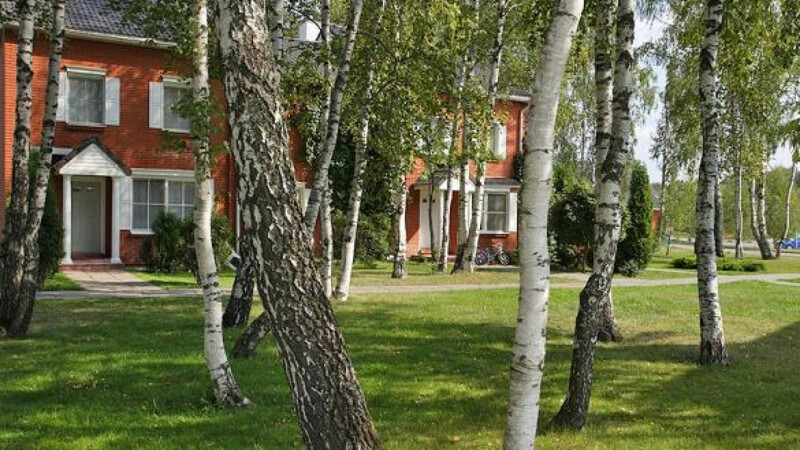 Rosinka caters to well-off foreign and Russian families, and typical housing rental rates are $11,000 per month. ROSINKA, Moscow Region — Just beyond the northwestern edge of the capital, the Rosinka townhouse development offers a slice of Western suburbia in the Moscow region, with grassy lawns tracing gentle hills and a mixture of American and Russian children racing bikes in the middle of the streets. Yet in recent months, a bitter family feud has waged behind the scenes over ownership of Russia's oldest upscale gated community for foreigners. The struggle, which pits the two adult sons of Rosinka's late founder against their stepmother and her 13-year-old daughter, involves claims of property mismanagement, an attempted raid in December, and the arrest last week of the area's top government investigator on charges of extorting more than $5 million from Rosinka management. Despite the drama, Rosinka management insisted that life was going on as usual on the 120-hectare compound, whose 640 townhouses are rented or owned by the likes of executives from Statoil, Coca-Cola and Emerson Process Management. The U.S. Embassy owns 44 houses here. "We consider it important to underline that these regrettable incidents have not in any way affected the management activities of the company and do not pose any threat to Rosinka's residents," Rosinka management said in a statement on its website, referring to December's raid and the recent arrest. Indeed, Rosinka residents seemed unaware of the conflict. A homeowner in Rosinka's Angelovo subdivision who reads the compound's newsletter and chats regularly with Rosinka staffers said Wednesday that he hadn't heard the news or seen the online statement. "I live there. I don't know about it," he said, asking for his name to be withheld because he didn't want to jeopardize his relations with Rosinka. A U.S. Embassy spokesperson also wasn't aware of Rosinka's problems and declined immediate comment. Rosinka began in 1990 as a real estate project between local entrepreneur Oleg Zakharov and American property developer Nolan Kerschner. Partnering during the perestroika heyday of joint ventures, the pair aimed to build a suburban home-away-from-home for expatriate businessmen and their families. The partnership was short-lived. In 1993, Zakharov re-registered Rosinka as a Russian joint-stock company. 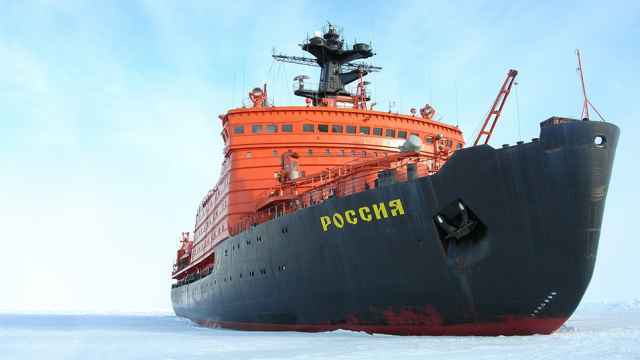 Kerschner told The Moscow Times in an article published in January 1994 that he had lost $3.5 million in the joint venture. By 1994, Rosinka had already built about 70 townhouses, leasing 50 of them to the U.S. government and the rest to international companies. Tenants paid $5,000 per month in rent on average. The compound now boasts the 640 homes, with a typical size of 222 square meters, as well as entertainment and fitness centers, three restaurants and the British International School. It caters not only to well-off foreign families, but also to successful Russians, and typical housing rental rates are $11,000 per month. Zakharov changed Rosinka's corporate structure again in 2002, creating a trust called Spring Cyprus International Trust and a holding company that is held by the trust. 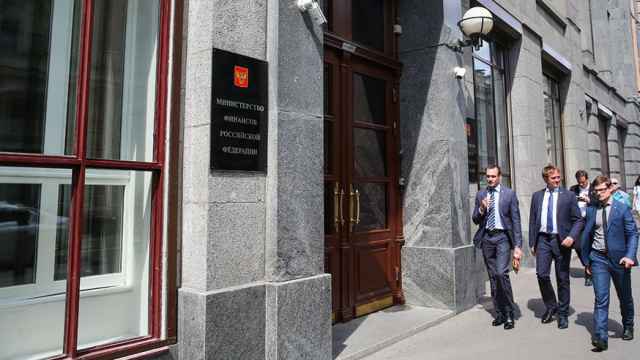 He transferred 85 percent of Rosinka's shares to the holding company, Providencia Holding Ltd., according to Moscow attorney Igor Zhigachyov, who advised him on the transaction and now represents Zakharov's sons. As the trust's beneficiaries, Zakharov named himself and the two sons, Vladimir and Alexander. Zhigachyov was appointed as the trust's guardian. In 2002, Zakharov had already married his second wife, and the couple had a 3-year-old daughter. But neither was named as a beneficiary, according to lawyers representing the brothers and Andreas Neocleous & Co. in Cyprus. But four years later, in 2006, Zakharov died at the age of 55, leaving his sons as the trust's sole beneficiaries. The sons, Vladimir, 35, and Alexander, 30, now control Providencia and 85 percent of Rosinka's shares through offshore entities, Zhigachyov said in an interview. 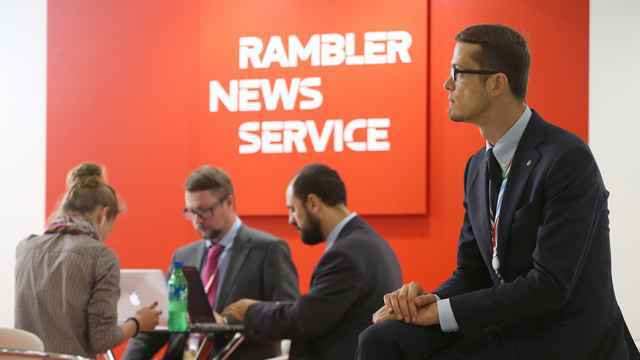 Alexander Zakharov also owns 14.36 percent of Rosinka's shares directly, giving the two brothers nearly 100 percent ownership of Rosinka. The dispute started in August 2011 when Zhigachyov was ousted from his position as the trust's guardian by Andreas Neocleous & Co., a Cypriot-based law firm that has sometimes sided with the interests of Oleg Zakharov's widow. The law firm administers Providencia, a function it has held since it helped create the holding company at the request of Oleg Zakharov in 2002. Andreas Neocleous & Co. is a legal heavyweight in Southern and Eastern Europe, with offices in three cities in Cyprus as well as in Moscow, Prague, Brussels, Budapest, Kiev and Sevastopol. Andreas Neocleous & Co. said it dismissed Zhigachyov after carrying out an investigation that indicated he had embezzled assets from Rosinka. In a written statement to The Moscow Times, the firm said he had used offshore entities in the British Virgin Islands to illegally claim homes worth millions of dollars in Rosinka's Angelovo subdivision. Zhigachyov denied the claim and noted that no charges have been filed against him in Cyprus or Russia. Police opened an investigation in February into the possible embezzlement of Rosinka property, but no suspects have been named in the case. But police first got involved in the Rosinka dispute about month after Zhi­gachyov's dismissal, when Yelena Zakharova, the 49-year-old widow and second wife of Rosinka founder Oleg Zakharov, filed a complaint on behalf of their 13-year-old daughter, Anastasia Zakharova. In a nearly 2,000-word letter sent to The Moscow Times by her lawyer, Yelena Zakharova called one of Oleg's sons a "heavy drinker" and the other a skirt chaser and described being locked out of her antiques-filled home in the Rosinka compound. She also said Zhigachyov had failed to heed her late husband's wishes to include both her and their daughter as Rosinka co-owners. Zhigachyov denied acting against Oleg Zakharov's wishes. The legal charges have been flying. 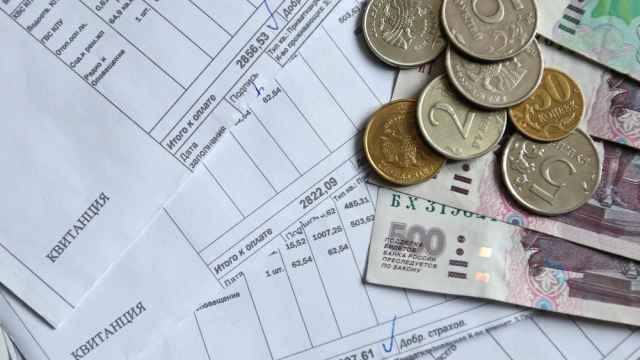 Andreas Neocleous & Co. filed 19 complaints with the Krasnogorsk division of the Federal Tax Service in the space of a few weeks in the fall, Zhigachyov said. Krasnogorsk is the district in the Moscow region where Rosinka is located. Alexander Zakharov lodged a complaint of his own in December with the local branch of the Investigative Committee, saying a former head of Andreas Neocleous & Co.'s Moscow office had forged a notary's seal and signature on the documents submitted to the tax officials. Andreas Neocleous & Co. called the allegations "fabricated." But charges were filed against the former chief of the law firm's Moscow office on Dec. 12. The case is ongoing. The next day, Dec. 13, the head of the local Investigative Committee, Colonel Alexander Gubanov, dropped by the Rosinka compound around 6 p.m. with an offer to "protect" Rosinka from any problems in the forgery case, said Rosinka manager Denis Kuzin, who met with Gubanov. The two men knew each other since the housing development is one of the largest taxpayers in the area, Kuzin said. "He didn't say, 'We want to be your illegal roof,'" Kuzin said, using the Russian slang for a protection racket. But Gubanov also had a second message: "'If you don't pay, the case won't end,'" Kuzin said. Gubanov demanded 2.1 million rubles ($64,000) in three tranches for his "protection" services, according to Kuzin and a statement later issued by the federal Investigative Committee. Kuzin, who said he didn't pass over any money that night, said he felt obligated to report the conversation because of Rosinka's standing as an "international" residential development. He faced a dilemma, however: He would need to report the most powerful law enforcement official in the area to another law enforcement official. So he bypassed Gubanov's supervisors — the Investigative Committee division for the Moscow region — and contacted the Federal Security Service. "He is a really big law enforcement figure," Kuzin said. The Investigative Committee's statement doesn't name Kuzin or Rosinka, instead referring to "a housing complex" in Krasnogorsk and an "executive director" and "general director." Kuzin said the statement refers to him and Rosinka. Kuzin and Zhigachyov said they spoke with various departments of the Federal Security Service in December and by the end of the month, the FSB was choreographing Rosinka's relationship with Gubanov as it paid him the money via fake employee positions at the compound. Eventually, the Interior Ministry and the federal Investigative Committee joined the FSB in the operation. Last month, Gubanov demanded $5 million, and the authorities arranged for Kuzin to hand over the money to a middleman on July 10. In the bait prepared by the FSB for Gubanov and his associate, the top layer of money in a paper shopping bag consisted of $50,000 in real U.S. dollars, while the lower layer consisted of fake bills treated to smell like real money, Kuzin said. "We smelled the money," he said. Gubanov's intermediary was nabbed by police when he tried to collect the cash from Kuzin, investigators said. He then agreed to participate in the next phase of the sting. Close to midnight, Gubanov tried to pick up the cash from his associate at a Krasnogorsk car dealership. Local police officers swooped in and arrested him. It isn't clear whether Gubanov remains in police custody. The website for the local Investigative Committee still listed him as its chief on Wednesday. Also in mid-December, men associated with Andreas Neocleous & Co. attempted to physically enter Rosinka, presenting dubious documents to prove their right to get past security and into the compound's management office, Zhigachyov said. A common tactic in corporate raids in Russia involves obtaining a firm's all-important founding documents, certificates and stamp — which is essential to officiate any paperwork — and then using them to make transactions that are official but in fact illegal. An infamous recent example is the Sergei Magnitsky case, in which corrupt government officials are accused of using corporate documents to claim a sizeable tax refund. If raiders obtain official corporate documents, stamps and seals, "it will be quite difficult to restore the situation," Zhigachyov said. Andreas Neocleous & Co. said it has no desire to take control of Rosinka, either through its role as a law firm or in its role as trustee for Rosinka's corporate structures. The law firm "does not stand to gain any benefit whatsoever out of the situation with Rosinka," it said in the statement. "To the contrary," it said, the law firm "is requesting the courts to relieve it from this very difficult position in a manner of course that will ensure that the wishes of Oleg Zakharov are respected." But with so many interpretations about the dead man's wishes, it remains uncertain when the family feud might be resolved.